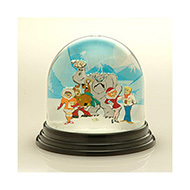 Promotional snowglobes ensure added decoration and practicality to your brand whilst offering a unique promotional product! 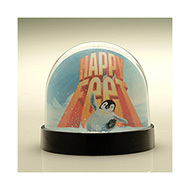 Branded snowglobes make perfect staff gifts, thank you gifts and festive giveaways for your clients! You can be sure they will be loved by everyone, exposing your brand in a fun and unique way. Customise with your choice of colour, photo, glitter or confetti with your design of logo and brand. Contact our expert sales team for a free visual of your promotional product at 01245 382600, email sales@allwag.co.uk or chat live above.